1000 In Stock Order soon - only 1000 left in stock Sorry, this product is currently out of stock. Please contact us to ask about availability. 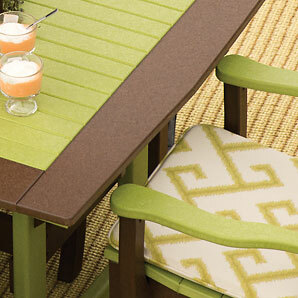 Custom color combinations are a cinch with Finch. Order your favorite sports team colors, match your home's exterior or coordinate with your garden theme. 316 grade stainless steel fasteners give optimum rust resistance even in salt water exposure. And our unique floating frame design allows normal expansion and contraction needed for poly lumber. 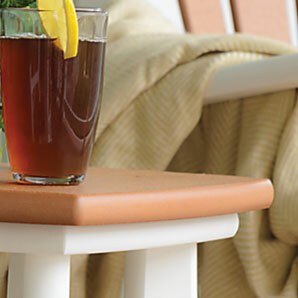 All seating surfaces are free of unsightly and uncomfortable screw heads. 95% of screw heads are hidden on the underside or back of the piece. 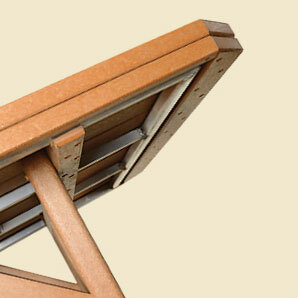 Mortis and tenon joints have been long respected in the fine furniture industry. 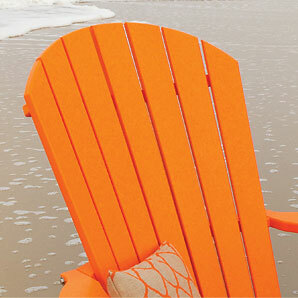 The tradition continues in our recycled outdoor furniture. 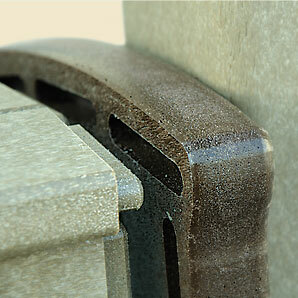 All face edges are smoothly profiled for comfort and tasteful appearance. Forget decay, discoloring, and mold. 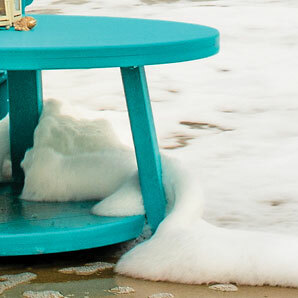 Finch poly furniture is engineered to withstand the elements of all four seasons and some of the harshest elements of nature: sand, sun and salt. Please enter your name as you'd like it to appear online. Your email address will only be used to notify you of the answer to your question and will not be posted online, shared or used for any other purpose. No previous questions found. Be the first to ask a question! 6 W. 28th Division Hwy.